Back in the summer of 2007, I was fortunate enough to be in temporary possession of a really neat big ol’ Epson wide format inkjet printer. I had it for a few weeks, and along with it, I had half a roll of 300gsm 100% pure cotton canvas and half a roll of 150gsm smooth fine art paper. It was awesome. What wasn’t so awesome, though, was the timing of when it was in my hands. I had it for the last few weeks I was living at my parents’ house, after which I moved into much more modest dwellings. This meant that as soon as I had printed anything, it needed to be packed up and put into storage and out of the chaos of moving house. Thankfully, my Grandparents were kind enough to allow me the use of their attic for storage, which is where everything has been living for the past four years. The problem with family-based storage is that the prints were very much out of sight and out of mind for the past few years, hanging out with each other and wishing they were adorning the walls of people like you. 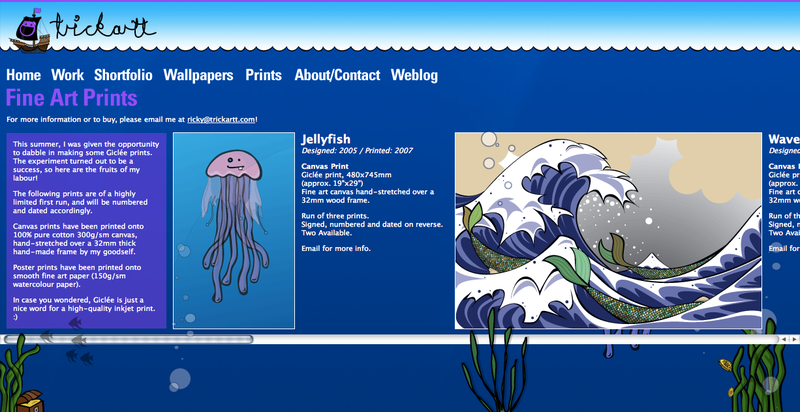 If you remember when my website looked like this, you have been watching me procrastinate for a long time! At the time of printing, I did make a very hasty attempt at advertising them for sale on my website. It was a poor effort though- I didn’t have photos of the final printed objects, let alone prices for them. This was no way of going about selling anything. I eventually realised that if I’m gonna do a job, I may as well do it properly or not do it at all, so when I redid my website at the beginning of this year, I decided to kill off the half-assed prints page for good. Prompted by the Letterpressed Cards project I have been working on for the past couple of months, I decided that if I was going to make an online shop to sell the cards, then I should get all of these prints properly up for sale too! So we have two types of prints up for sale: Poster Prints and Canvas Prints. The poster prints are a really nice top-notch inkjet print on watercolour-textured 150gsm fine art paper. This is a nice substantial paper weight and has a nice matte finish to it. All the prints are around A1 in size – some are a bit bigger, some are a bit smaller – their exact sizes are listed on their product pages in the shop, and some even come with a size comparison diagram for your reference. As a serving suggestion, framing them would be the best idea. A stylish and good value way of doing this would be in something like this Ikean “Ribba” frame. 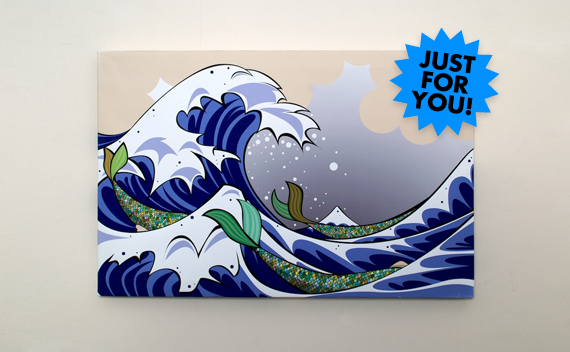 It’s a little bigger than even the biggest print, so with a bit of creative mounting, your print should look fresh. Another good plan may be to get a local glazer to make you up a nice simple clip frame to the right size. But these are questions for you to answer, depending on your on tastes in decor! These prints will be sent out via Royal Mail Special Delivery if you are in the UK, or via Royal Mail Airsure if you are overseas. You can read more about shipping on the shipping page of the shop. The canvases are a bit of a different story. 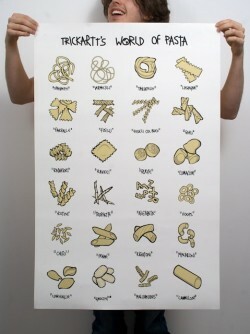 As the name would suggest, they are printed onto canvas. The canvas is 300gsm 100% cotton, and has been designed exclusively for use with a wide format printer of the sort, so it’s the real deal. I carefully modified the illustrations so they wrapped around the edges of the frames and look really good and luxury. The frames are 32mm deep, so they have a nice substantiality to them. I made the frames myself and stretched the canvas around them with my own hands too. I found the canvas yielded really attractive results in terms of print quality, but it wasn’t perhaps as hard-wearing as I would’ve liked. For example, some of the ink seemed to get worn on the corner surfaces of the canvas from where it was stretched a little bit. I have tried to make examples of this as clear as possible in the photos of the items on the shop to avoid disappointment. It doesn’t detract from the art though, and doesn’t make them any less unique, so please don’t let it put you off! Postage for the canvases is a little bit more complicated than the posters though, as they can’t just be rolled up. They will be sent via courier instead of Royal Mail, probably UPS, and will arrive with you next day if you are in the UK. Please note, however, that dispatch may take up to two weeks for the canvases. As explained earlier in this post, they are still in storage at my Grandparents’ house and don’t want to make their lives difficult through this operation. I am allowing myself that much time to get them dispatched from there, but hopefully it won’t take nearly that long. Once again, please make sure you read the shipping notes before you buy anything! 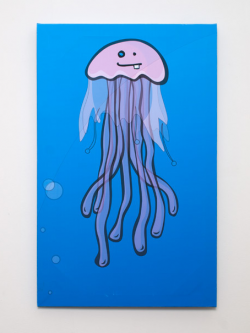 There are five designs available each in canvas and poster prints: Mermaids, Washing Line and Elwin are available as both canvas and poster prints; Jellyfish and Winter Sun are exclusive to canvas prints and World of Pasta and How Rain Is Made are exclusive to poster prints. I have printed between one and three copies of each design; the exact number is noted on each product page. I don’t have any intention of reprinting these designs in the future – I am happy to leave this run of prints as totally exclusive. Well, that’s all about these prints! Don’t forget I am also selling letterpressed cards on my shop, so check out my post about those too!